Tips on UK Student Visa | Go For Visa | Australia Immigration Consultant & Visa Experts in India. Make sure you proceed for your application at the right time and will not leave anything till last minute. There is always a rush in student visa application immediately after the ‘A level’ results are published. So get prepare for your visa application before your results. Once your results are declared, you can promptly apply for right kind of visa. The most frequent mistake students make while applying for visa is not to tell any truth. They often do this on the recommendation of advice received from dishonest visa agent. If you submit any fake documents or lie then your visa application might be declined. An individual may also be banned for more than 10 years from visiting the UK. 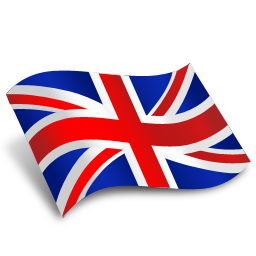 UK has very strict system of sponsorship and registration where all educational institutions, universities and organizations are affiliated with guidelines specified by UK visa and Immigration department. So any candidate applying for UK student visa must check the credibility of his institute before proceeding for his final student visa application. Remember that agents can’t influence any visa decision making process and they can’t guarantee that your visa will be issued without any rejection. So don’t believe in any agents who inform you otherwise. If you come across any individuals who are engaged in such activities then please report such incidents to concerned officials. Last year, the British High Commission received more than 18,000 student visa applications from individuals who have been planning to apply for reputed educational institutes and universities in UK. A huge number of applicants have either submitted fake documents or didn’t provide adequate documents as required by visa department.